More American skilful workers came to Canada in the first half of 2017. Immigration From The United States To Canada Is Growing. More American skilled workers came to Canada. They arrive on a temporary work permit under the International Mobility Program in the first half of 2017. Americans Immigrants come to Canada Under International Mobility Program. Immigration, Refugees and Citizenship Canada (IRCC) figures suggest that more Immigration from the United States To Canada via IMP in 2017 than each of the last two years. 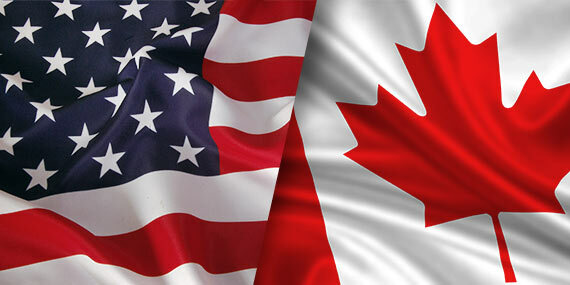 14,835 American Skilful workers were granted a temporary Canada visa under the International Mobility Program. The Range is between January 1 and June 30, 2017. Time spent in Canada under the IMP and work experience gathered also count towards a permanent resident application, should temporary resident visa holders wish to stay on. At the same time, Canada is trying to make it easier for specifically skillful workers to move here by launching the Global Talent Stream (GTS). GTS is a separate strand of the Temporary Foreign Worker Program, meaning figures for the pilot, launched in June, are not included in the above graph. The program allows the best and brightest talent to move to Canada in two weeks. Category A: For employees who have been referred by a designated organization. Category B: For employers seeking to hire skillful workers from a new Global Talent Occupations List. Need Help With Immigration From The United States To Canada?